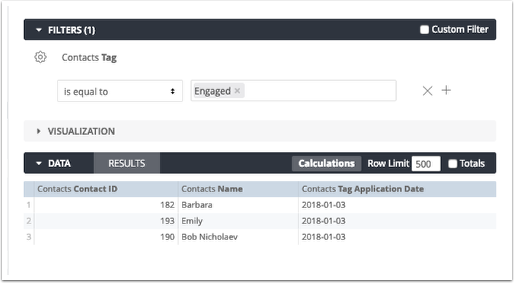 In this article, we'll show you how to create a custom report that shows you when a specific tag was added to contact. 2. 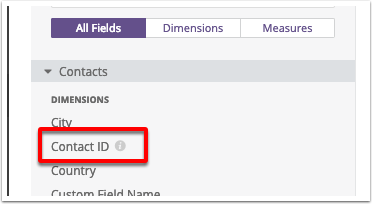 Next, you'll need to add the "Contact ID" dimension. To do so, click "Contact ID." 3. 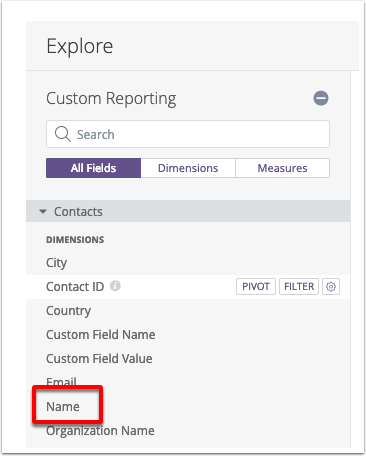 Then add the "Name" dimension by clicking "Name." 4. Next, you'll need to add the Email dimension. To do so, click the "Email" option. 5. 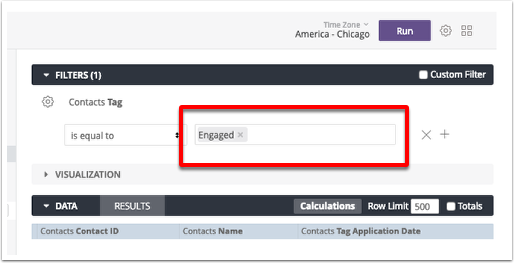 Now you'll need to add the "Tag Application Date" dimension. 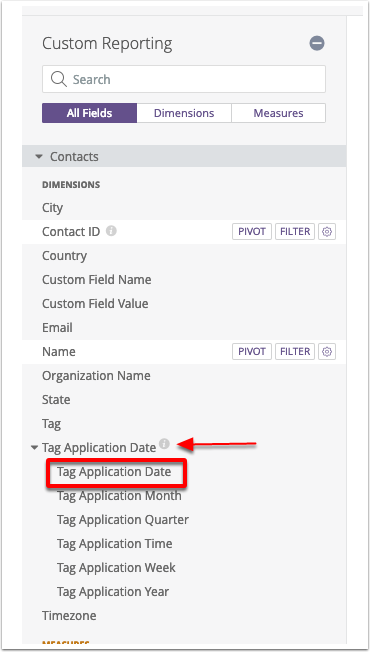 To do so, click "Tag Application Date" to expand the tag application date menu. Then click the "Tag Application Date" option. 6. Now you'll need to add a "Tag" filter to the report. To do so, hover your mouse over "Tag" and click the "Filter" button that appears. 7. 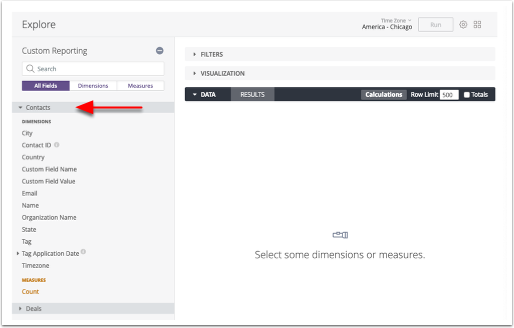 Now you'll need to define which tag you want to filter your data by. 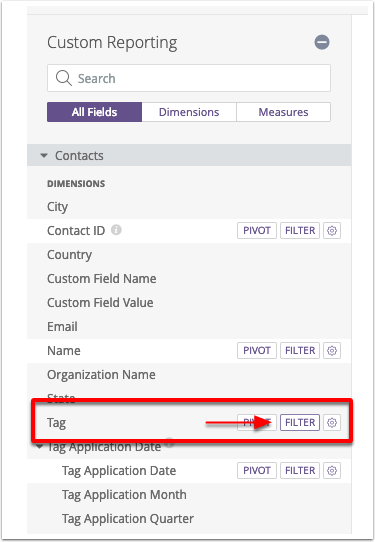 To do so, go to the "Tag" filter located under the "Filters (1)" header. 8. 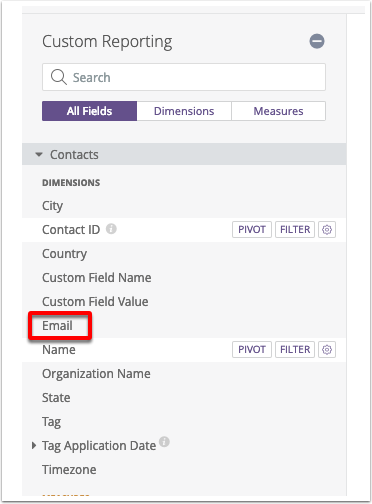 Type the tag you wish to filter the data by into the field provided. Note that we'll provide suggestions below the field as you type. 9. 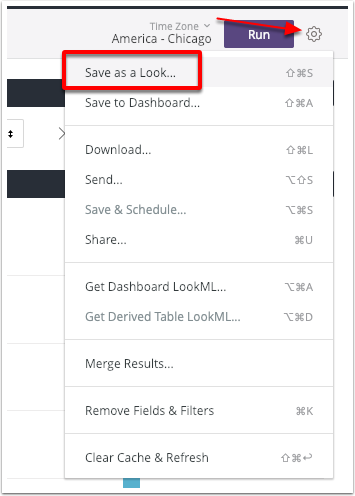 Click the "Run" button to display the data. 3. In the "Title" field, type a descriptive title. 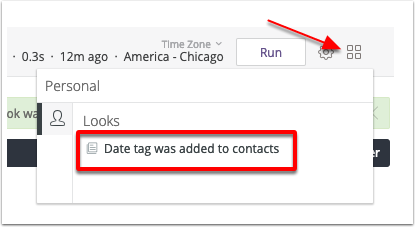 For example, you can name this report "Date tag was added to contacts."